This Easy Crockpot Chili Recipe is something to love, that’s for sure! We like to make a double batch of it and have enough leftover for chili dogs, chili fries, chili potatoes, Frito chili pies and more. We eat on that pot of Crockpot Chili as long as we possibly can! Be sure to check out more amazing Crockpot Meals made with ground beef, as well as the Crockpot Salisbury Steak recipe. They’re delicious! This pot of chili is amazing to serve for company, to take camping, to eat in the fall or cold weather and just… to eat in general. Ha! This is a double batch. I do this so that you can have extras for lunches to serve over hot dogs or baked potatoes. Of course, if you don’t want that much, you can cut the recipe in half. The original recipe is made to serve 4-6 people. 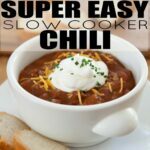 Can you put raw meat in the slow cooker for chili? Yes, you can if you choose a very low fat meat. If your ground beef is 70-85% fat content, I would not leave it in. My preferred method is to cook it on the skillet first before adding it to the slow cooker. How long should chili cook? I believe that chili is best when it simmers all day, so 6-8 hours on low is ideal for the best flavor. Of course, if you need it quick, you can always cook it on the stove top until it’s all the way warmed through, but the flavors won’t meld quite as nicely. Should I drain the beans for Easy Crockpot Chili? No, when using Chili beans, it has a little bit of extra flavor that will help your chili flavor. Don’t worry about draining them. If you use Pinto beans instead, then yes, I would drain them. 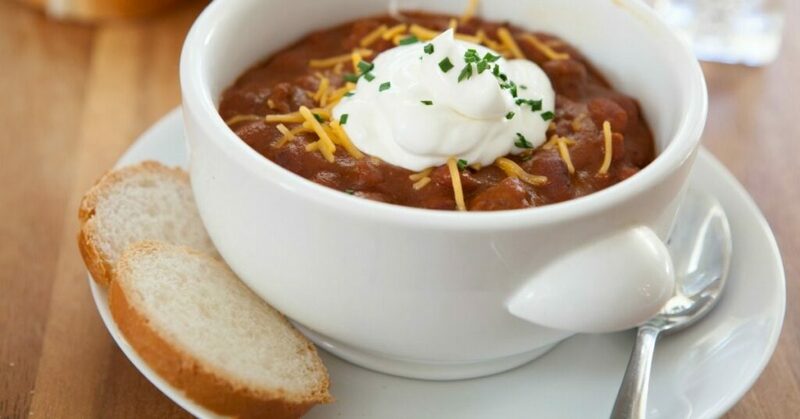 What Should I serve with this Easy Crockpot Chili Recipe? I highly recommend making cornbread. You could try this amazing Southern Cornbread Muffins recipe. This Easy Crockpot Chili Recipe is something to love, that's for sure! We like to make a double batch of it and have enough leftover for chili dogs, chili fries, chili potatoes, Frito chili pies and more. We eat on that pot of Crockpot Chili as long as we possibly can! Brown hamburger with onion. Drain. Dump hamburger mixture along with all other ingredients into your slow cooker. Place all ingredients into a gallon size freezer safe bag. Label and lay flat to freeze. Let thaw before cooking in slow cooker. 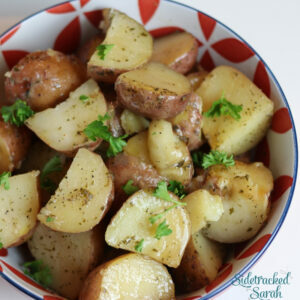 Dinner doesn’t get easier than this recipe! So much flavor and so easy too! This is one of the better traditional chili recipes we’ve eaten. No weird ingredients, just simple and to the point. My family can’t thank you enough for these amazing slow cooker recipes. You’ve been such a blessing to us! Can you make this to freeze for another day with all the ingredients. (split into 2 bags for 2 separate meals? how many oz size cans? Great question! I'm surprised I haven't put that on this recipe. Thanks for pointing that out to me. All 15 oz cans.